We encourage our customers and partners to use our name and logo when promoting our services, and we ask that they follow our logo usage rules to ensure the integrity of the logo. This includes logos used for products and services in advertising, brochures, catalogs, banners, websites and social media. The logo should not be modified, compressed, edited, or distorted in any way. Do not enlarge or reduce one aspect of the logo without also changing the other elements equally. Do not crop out any part of the logo. The logo must appear horizontally. The logo was designed specifically with multiple colors and should always appear as such. The colors should always be based on the Pantone (PMS) color spectrum. The dark blue used in the majority of the logo should follow the Pantone PMS color 2747 C. The aqua color in the waves of the logo should follow the Pantone PMS color 637 C. The first half of the logo's title should appear white. For example, the "EXE" of the Exeter logo should always appear white. Always place the logo on a background that offers sufficient color contrast so the logo appears vivid and legible. If you are not placing the logo on a white background, we recommend you download the PNG version. The logo must always appear clear and sharp. If pixelation occurs while enlarging our logo, please download the PDF or PNG file that we offer and replace it. 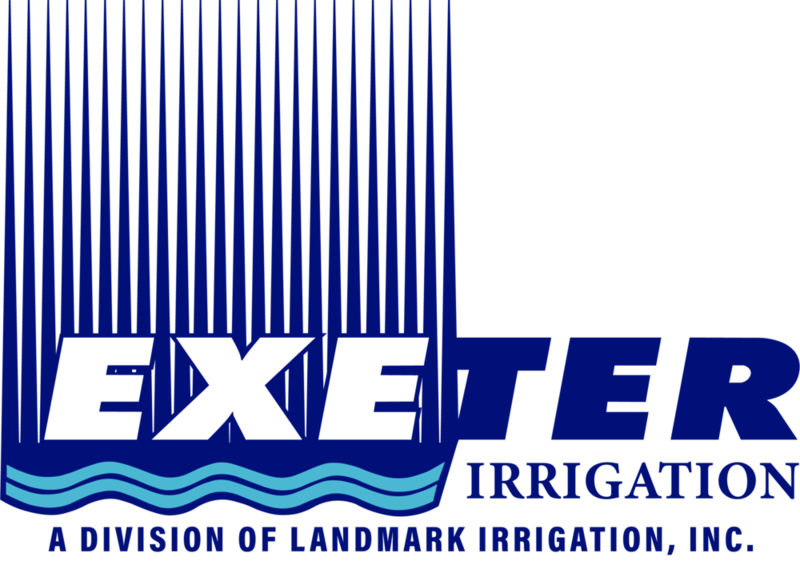 Exeter Irrigation name and logo belongs exclusively to Landmark Irrigation Inc. We reserve the right to ask third parties to modify or delete any logos that do not follow these guidelines. If you have questions, please contact Landmark Irrigation Inc. at (insert email).